This week, the Art by Megan shop is officially up and running (smoothly, thanks to Bent Circle Inc!). 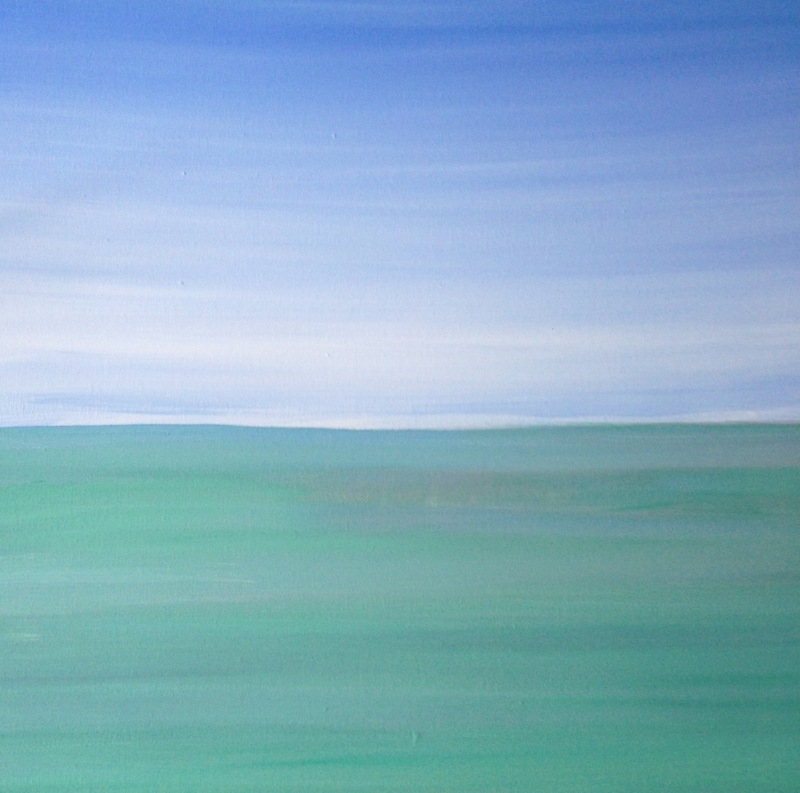 The newest painting, "Still" has been added and several more paintings are on their way! However, I have heard from a lot of people that owning original artwork is not feasible because of the cost (I am right there with you! ), so there is a new section coming just for you. Original, photo quality prints will be available starting next week! And each print is a deal...$25 unframed and $50 framed and matted in either silver or black. Be sure to help spread the word and thank you for your support of Art by Megan. Want to go shopping? Click here! One of the perfect combinations in life for me is being able to share my talents for a good cause. This past weekend, I was able to do just that. We spent the afternoon at a silent auction / happy hour with a childhood friend of mine who recently lost her mother to Ovarian Cancer. My friend, Ashley, planned a beautiful event as a tribute to her mother, who I remember being a smiling, happy, kind and life of the party-kind-of-lady. It was perfect and beautiful. I donated a painting of mine to the cause and entered it into my first silent auction as an artist. To be honest, I was a little nervous at first when it didn't get any bids at all...yikes! But a little time passed, several bidders placed their bids and I was able to raise $100 as our donation to Ovarian Cancer Research. As a person who struggles with selling my paintings still as a "new" artist, this event was beautiful to me. I feel as though I was able to share a very personal part of myself with a family who suffered a terrible loss and with a community of supporters who are fighting for a great cause. Also, if I can only teach a couple of good lessons to my daughter, sharing a talent for the greater good would be one of these lessons! Thanks to Ashley and your family for including us in your celebration of life and love. Recently I was commissioned by a family member to paint a sunset in honor of a lost loved one. I was nervous about this painting because I became a little too obsessed with making it look "perfect". 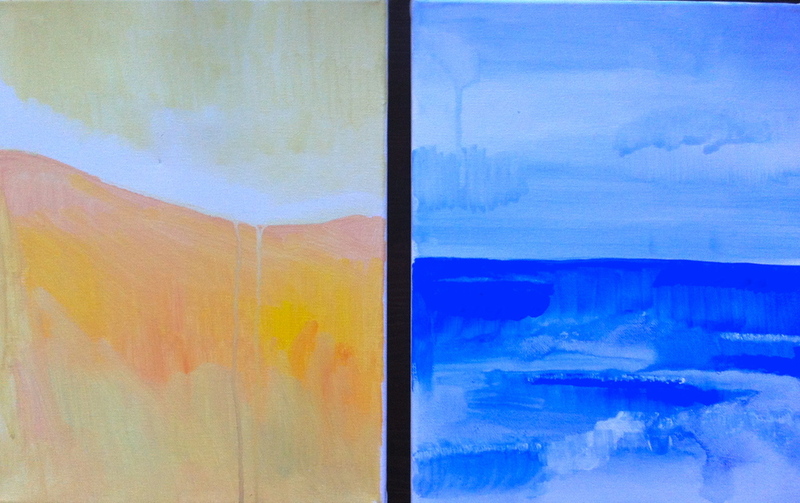 However, something magical happened while I worked on the sunset-inspired abstraction and it turned out ok! I feel so honored to be part of making a tangible memory for someone struggling such a sad loss. After working on bringing the sunset photo alive, I feel inspired and thankful. When I work on a painting, I often have a hard time visualizing how it could look in someone's house. But, thanks to some awesome friends who have recently purchased paintings, I have a better idea! Thanks for the support of Art by Megan! New @ Art by Megan! My Etsy Shop is expanding this year to include some exciting new things and I wanted to share! First, I have been working on paintings with poems and lyrics done in India ink. I use India ink in all my other paintings to draw on top of the paintings, so I figured using it to write words could be a fun new twist. I started with "Yo soy un hombre sincero" by Jose Martí, and will be whipping up some others soon. Custom works available! I imagine that these would make great gifts for a wedding (lyrics of the couple's first dance) or a birthday (someone's favorite song) or even Valentines day (a favorite love poem). 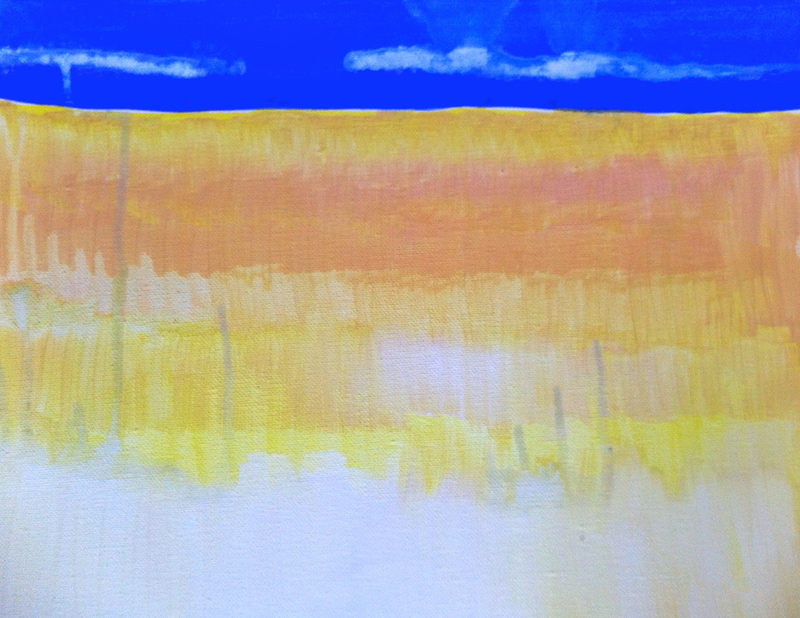 Next, I am adding a section of hand painted greeting cards on watercolor paper. They are cute and fun and are an inexpensive way to buy original art. Coming soon....prints (read: affordable art!) of some of my favorite paintings! I recently worked with Stephanie and Andy on creating a unique wedding invitation for their fall wedding. They are both huge baseball fans and decided to get married at the Baseball Hall of Fame in NY. In order to tie their theme into the location, we worked on a formal looking but baseball-ticket-inspired invite. What do you think? My favorite part is the barcode at the bottom which has their initials and the wedding date as the "code". The witty bride came up with that one! If you or anyone you know needs graphic design services, don't hesitate to contact me! This morning, I sold two large acrylic paintings to a lovely fellow artist in Cleveland Park, DC. Thanks for your support, I hope that you love them. These boring and mundane photos are the "before" photos showing the set-up of Artomatic. They are clues into what will become an art takeover in an old federal building in Arlington, VA for the 2012 artomatic. Art by Megan. 1st floor near the cafe. Be there! Painting #9 has a life of its own and figured out a way to delete itself from the Internet. Seriously, what a sneaky little devil! Painting #10 took a little more time than anticipated, but it's fun! (in a crazy, polka dotted, striped sort of way) Enjoy!